I dimensioned a steel construction joint with RF-JOINTS and modeled it for comparison in RFEM. Why are the results not identical? 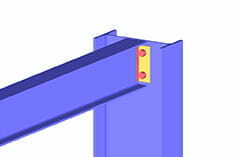 In RF-JOINTS an idealized proof of a steel construction connection according to the standard takes place, which can not be easily compared with an exact FE calculation. 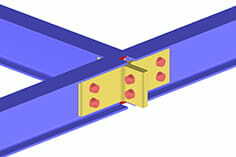 Remedy can be created for example by rigid connection objects (eg front plate as a rigid surface).